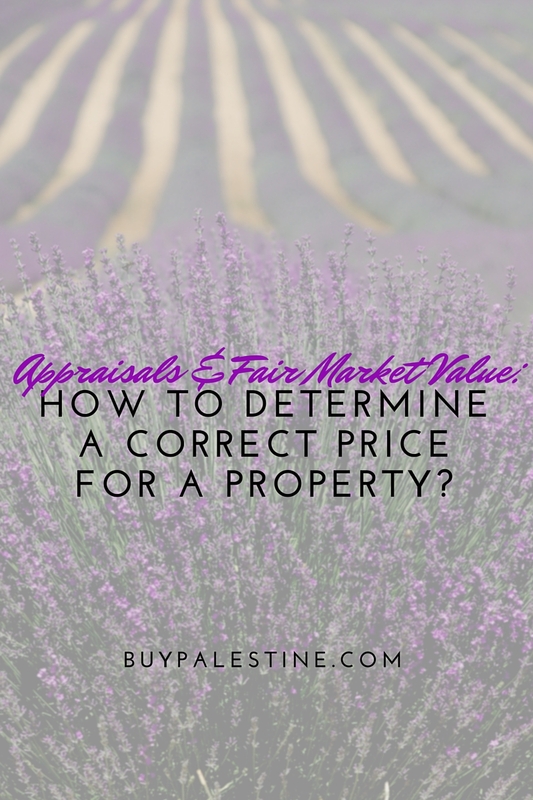 Palestine Real Estate & Palestine TX Homes For Sale | BuyPalestine.com Appraisals and Fair Market Value: How to Determine a Correct Price for a Property? How do you know how much your property is worth? Sadly, you can’t just make up a number. Well, I guess you could, but it is not in your best interest. There are three basic types of property valuations: tax appraisal, lender appraisal and fair market value. As crazy as it sounds, sometimes these “values” do not match one another. There can be a vast difference between the numbers or no difference at all. A tax appraisal is conducted by the local appraisal district. The tax appraisal sets the value at which your property will be taxed and is not necessarily the market value of a property. It may seem counterintuitive to want a low appraisal, but as far as tax appraisals go, the lower the better. Why would you want a low appraisal? Simply put—to save that money, honey! The lower it is, the lower your taxes will be. The tax appraisal value is certainly something to consider when pricing your property to sell, but it is not the only opinion to consider. The real estate market fluctuates often but the assessed value is only calculated once a year. Therefore, there will be some inconsistencies between the two. The same holds true when buying a property—the asking price may be a big jump from the assessed value. Buyers may look at the tax appraisal of a property and think the property is overpriced. However, a low assessed value should actually be a selling point on the property instead of a point of contention and should have little to do with determining a fair offer to make on a property. A bank appraisal is not performed by the bank itself, but is performed by a licensed appraiser on behalf of the bank. The appraiser visits the property to examine the condition, location, and features. Those features are compared against recent sold properties and market trends to create the appraiser’s opinion of value. An appraisal will protect the buyer from overpaying for the property (even if the tax value is much lower!). It also protects the bank’s interests by limiting the maximum amount financed to the appraisal amount. The bank appraisal is typically paid for by the buyer. It is determined by the market and the buyers in the market and is defined as what a reasonable and able buyer is willing to pay. Just to make it ultra-confusing, fair market value may be different than both the tax and bank appraisals (but not always). This is oftentimes the most “fair weather” value of them all. For example: a reasonable buyer may fall in love with the house because they grew up in it or because it reminds them of their childhood home and it may be worth much more to them, but for purely emotional reasons. Fair market value isn’t set by the seller, but is set by the market itself. Your REALTOR® can assist you in pricing your property with market trends based on solid closed sales data from the MLS. Each valuation has importance in a transaction—the taxes on a property may make or break it for a buyer, the bank appraisal will limit the amount the property can be financed for and the fair market value will reveal what buyers in the market are willing to pay. Although it may seem confusing, all the valuations come together to work for both buyers and sellers. In the end, all the valuations in the world don’t matter—the truly important number isn’t the tax appraisal or the list price, it’s the sold price. Lisa E. Priest is an over-explainer and is an East Texas Area REALTOR® with Picket Fence Realty, Inc. You can reach her via phone or text at 903-948-3343 or read more at BuyPalestine.com. For a complete list of currently available real estate in Palestine TX and surrounding areas, click here to start your search. Make sure to subscribe to this blog so you don’t miss out on current market information and Palestine TX area events. If you would like to discuss your real estate needs, I am always available and don’t worry, I won’t bore you with math.